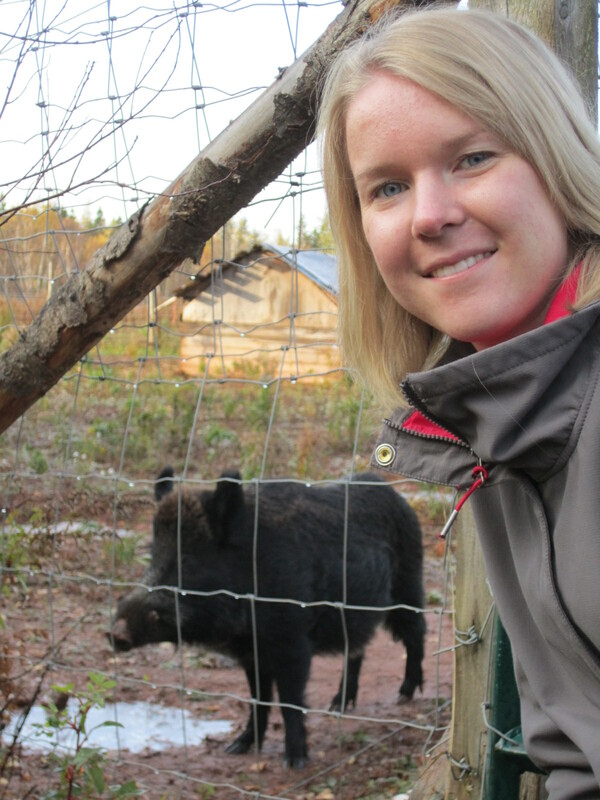 What do you get when you combine caramel butter squares, crazy wild boars and a bus full of culinary students? Makings for the best field trip ever, that’s what! 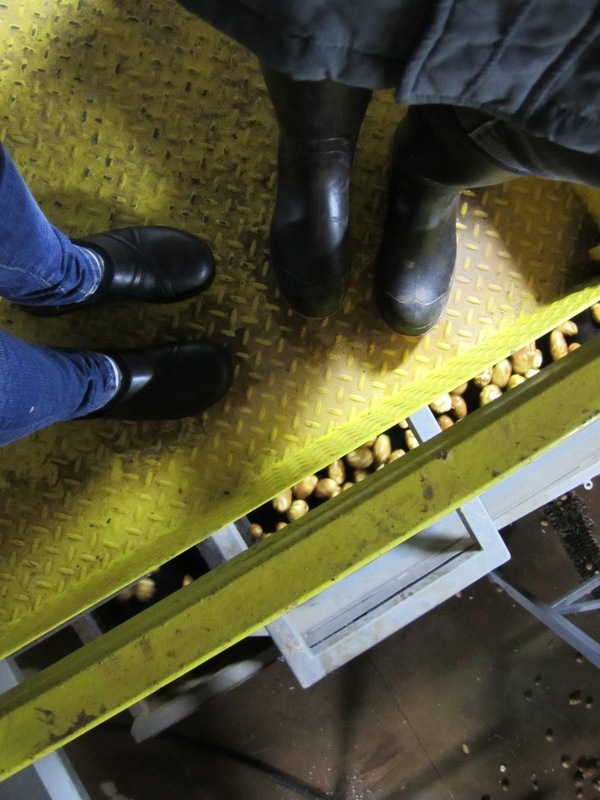 No boring educational lectures here, we donned our rubber boots ready for an adventurous day of trekking through muddy soils to see where food really comes from. The class, coined “culinary industry essentials” is all about teaching students where and how food is produced. What better way to reinforce this than to go out and see for ourselves! First stop, Morning Star Fisheries in Victoria, PE. 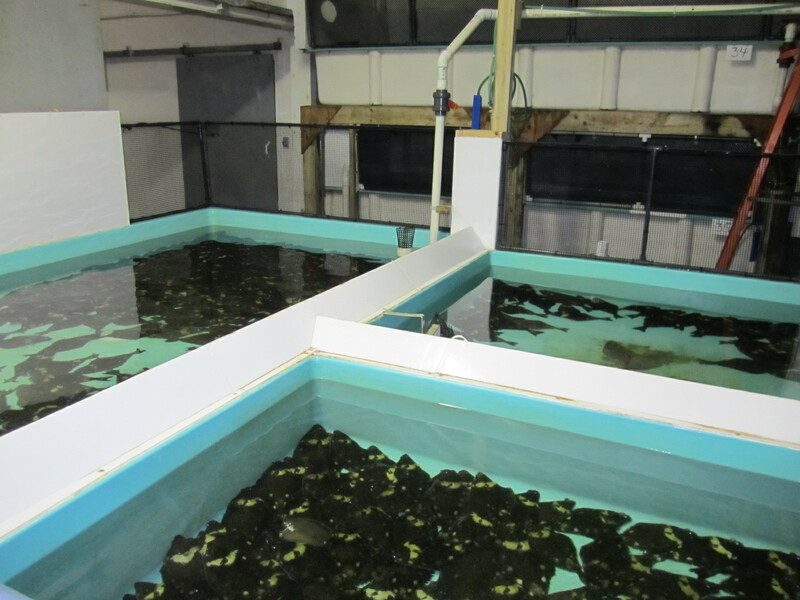 They are one of only 2 halibut farms in Canada. 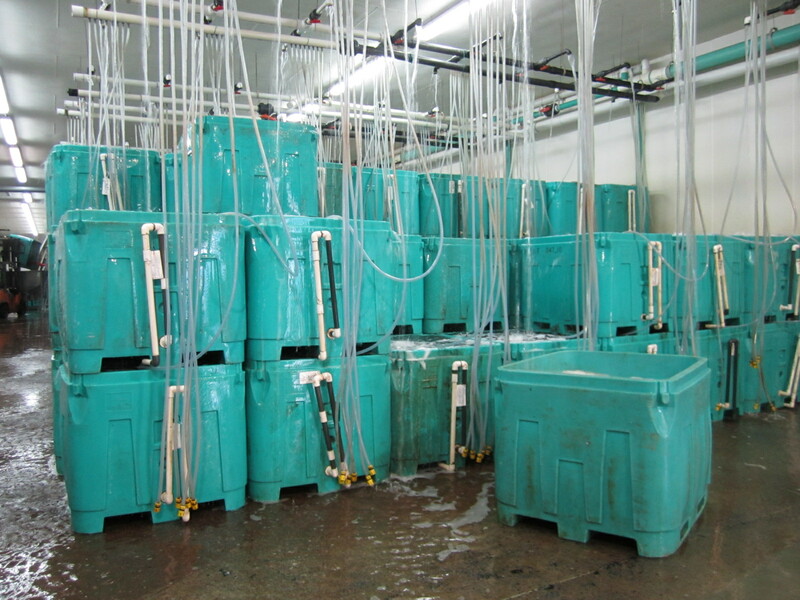 The fish are raised in old lobster tanks, filled with saltwater that comes from deep wells. 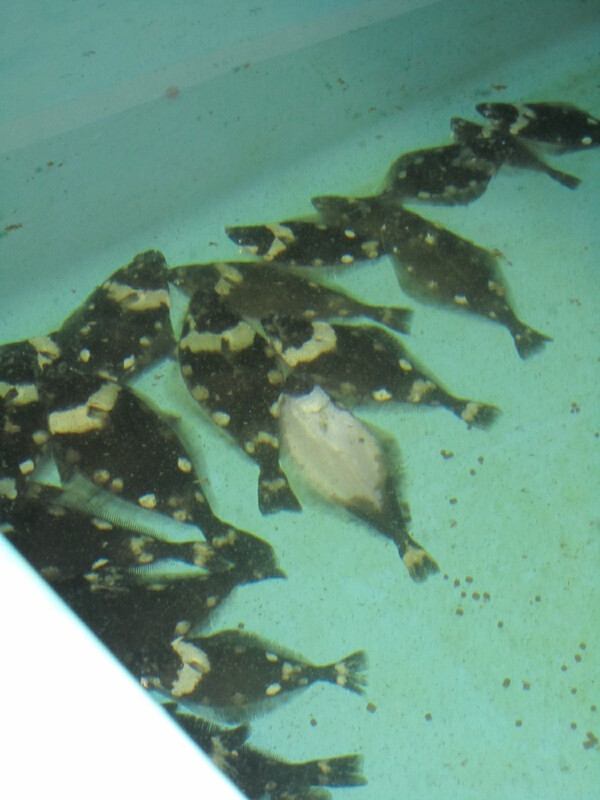 The farm receives the halibut when the fish weigh only 5 grams (about the size of a toonie). 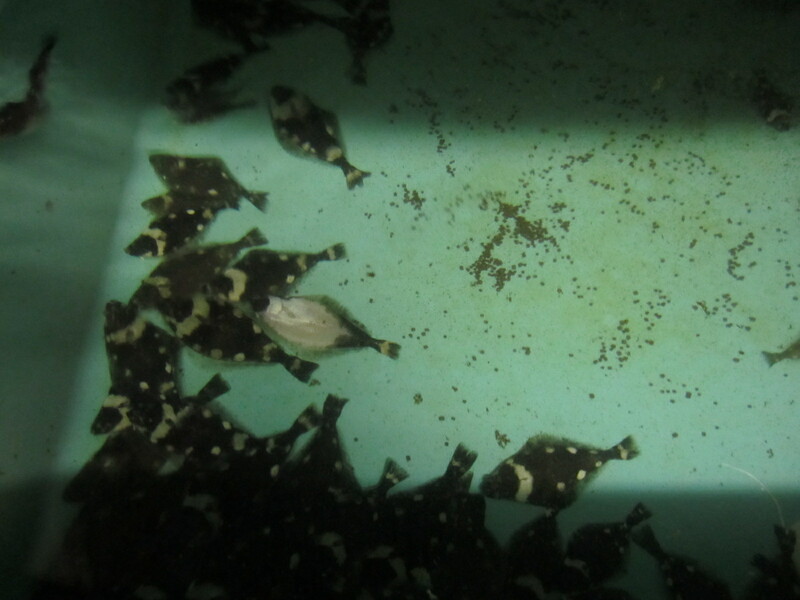 Once they reach market size (4-6 pounds) they are ready to eat! Because the water is so pure, there is no need to use hormones or antibiotics, making the process much more natural. 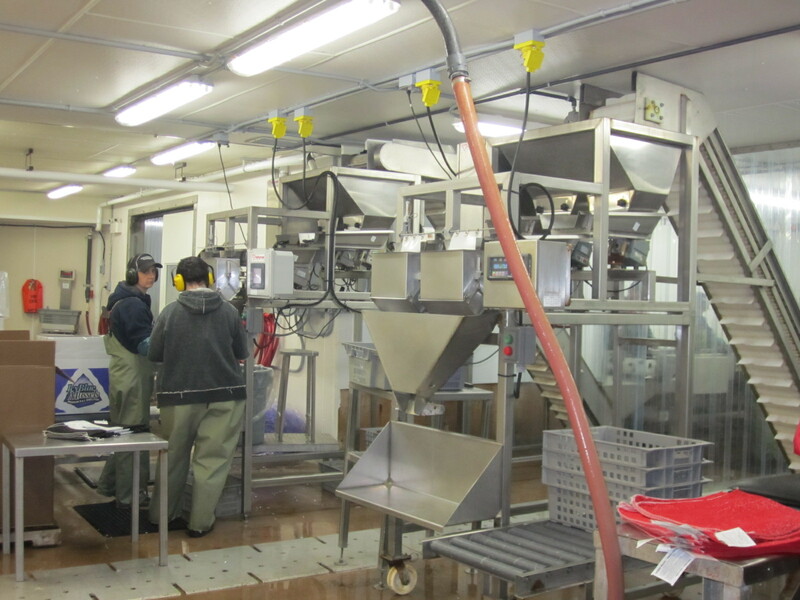 Personally, I am not a huge fan of farmed fish, but I was impressed with how sustainable their process was. Have you ever seen an Albino halibut? 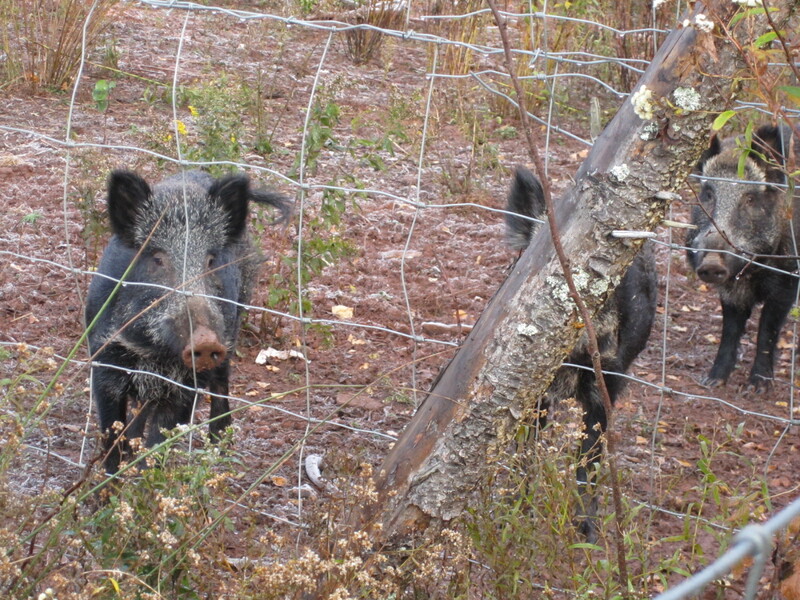 Then we decided to make a little detour to take pictures of wild boar. Yep, you heard right, those were some ugly, evil looking piggies! I’m quite thankful there was a fence to separate us, or I probably wouldn’t be around to type this post right now!!! 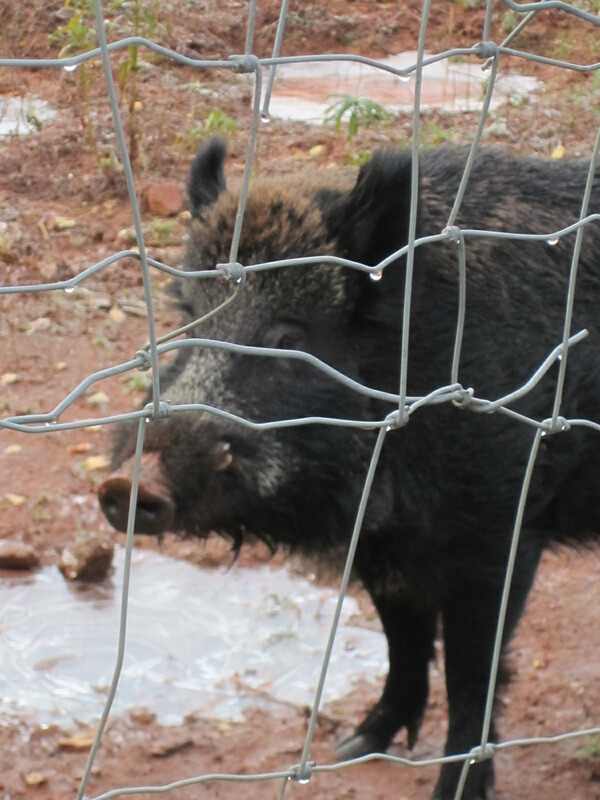 I can just imagine the newspaper headlines, “Culinary Students Mauled Taking Pictures of Feral Pigs”. Not sure why I am smiling, the thing could probably eat me alive! 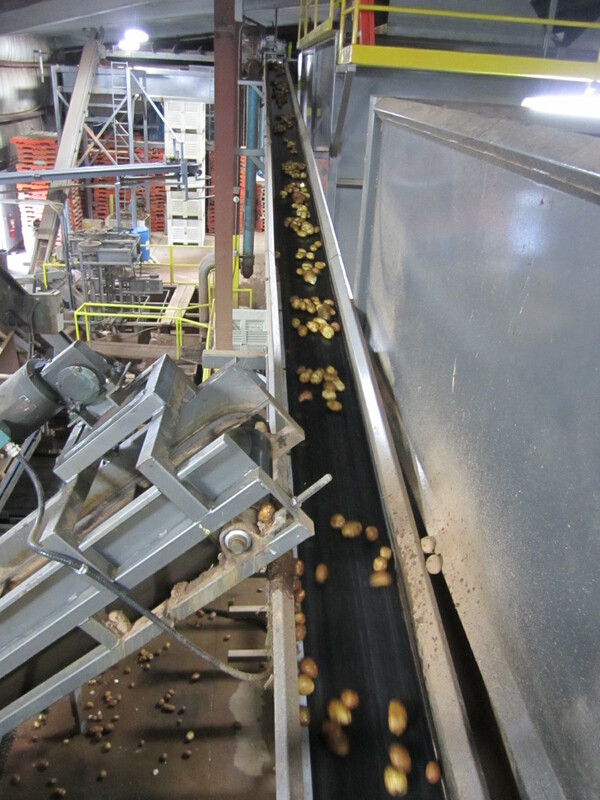 And speaking of ways to die, check out these pictures of the potato warehouse we stopped at next, Mid Isle Farms. 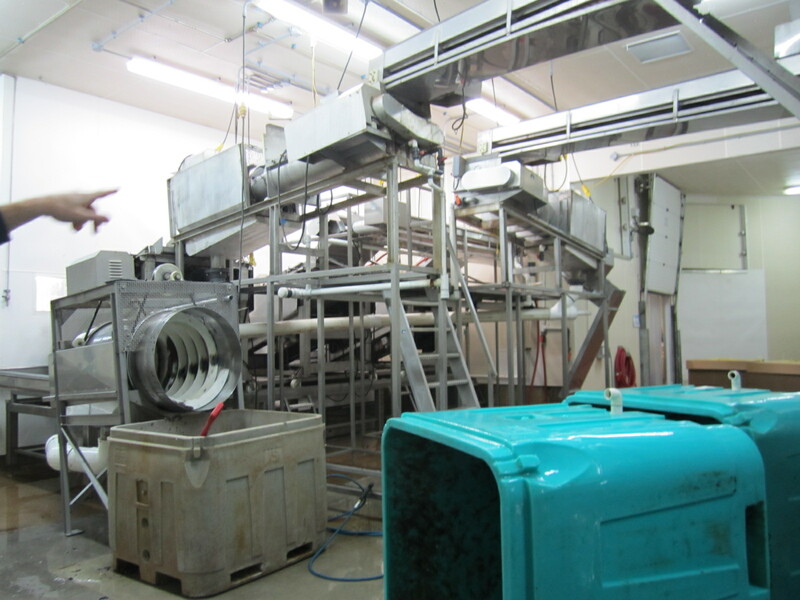 We saw how they were washed and sorted, but what really got me were the giant storage facilities. 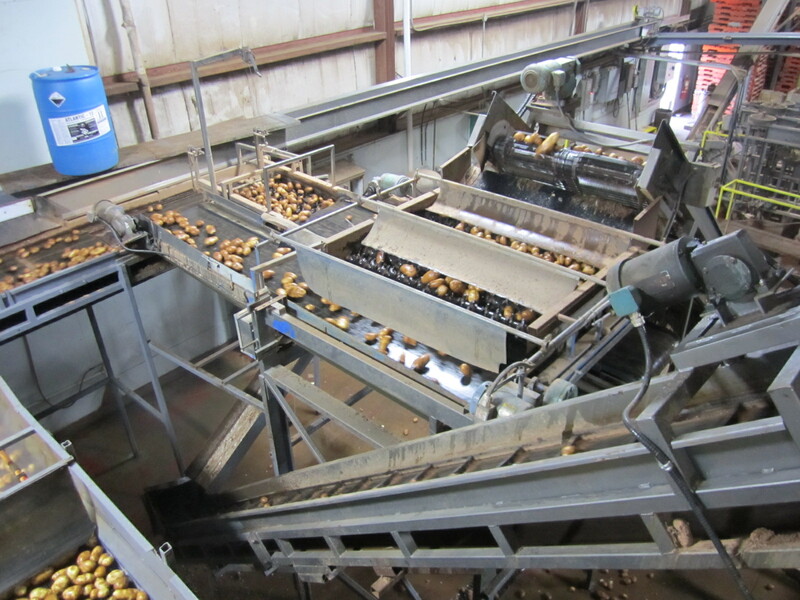 They can hold something like 40 million pounds of potatoes at a time! 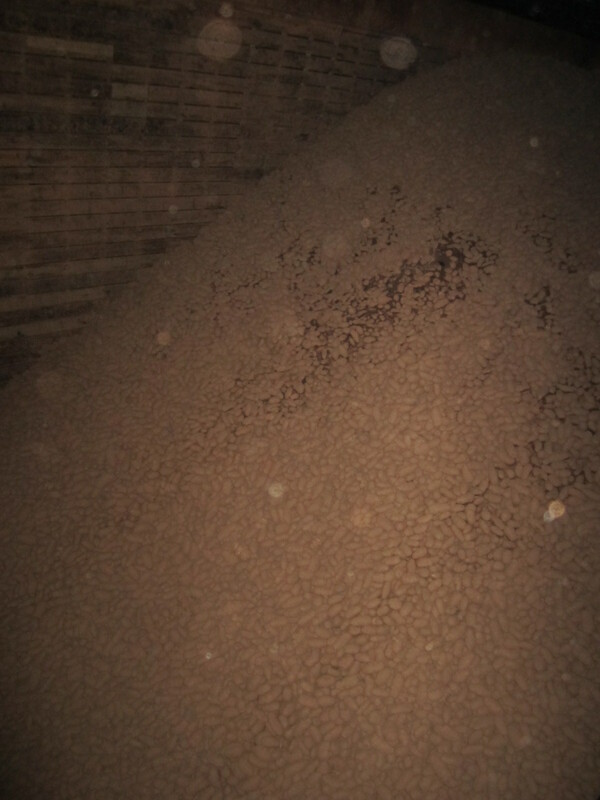 As we ventured down the walkway in the rafters of the warehouse, all I could think of was, “imagine drowning in those potatoes”. 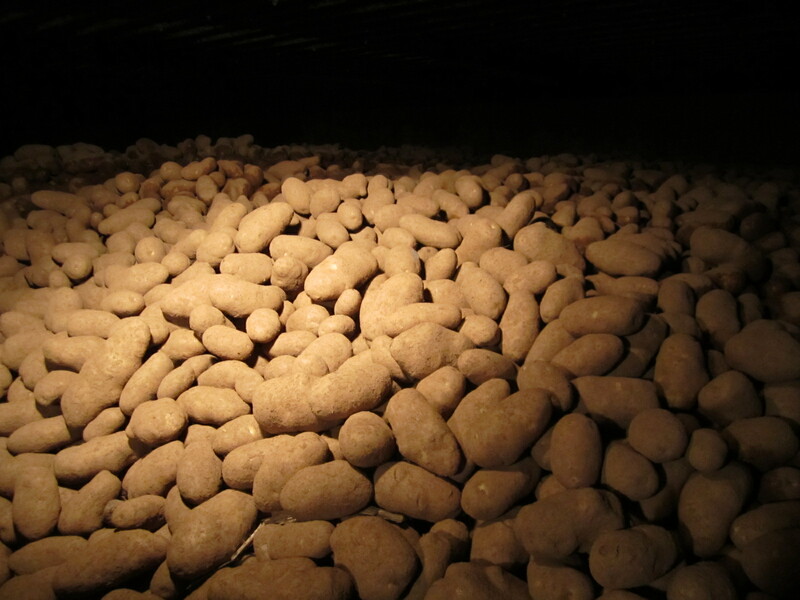 Let’s face it, if you fell in a pile of spuds that big, I don’t think you would be living to tell the tale. Way to be an optimist, right? That is all potatoes folks! Next came Eureka Garlic Farms. I have never met anyone as passionate about garlic as Mr. Al Picketts. Seriously, it is his life, the bane of his existence. Listening to him talk (he could have gone for hours…actually I guess he basically did) was refreshing and inspiring. It makes you think, if the person who is growing the stuff is that serious, we truly have the responsibility, both as chefs and consumers in general, to treat it with the respect that it deserves. Even if it’s something as humble as a head of garlic. PEI Aqua Farms was our final destination. 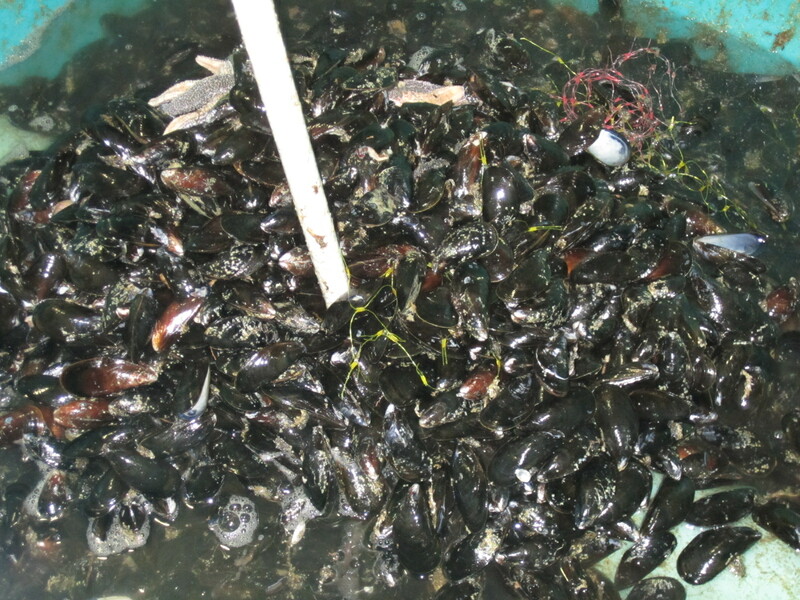 Never in my life have I seen so many mussels in the same place. Not nearly as much as the potatoes, but still, a fair amount of shellfish nonetheless. 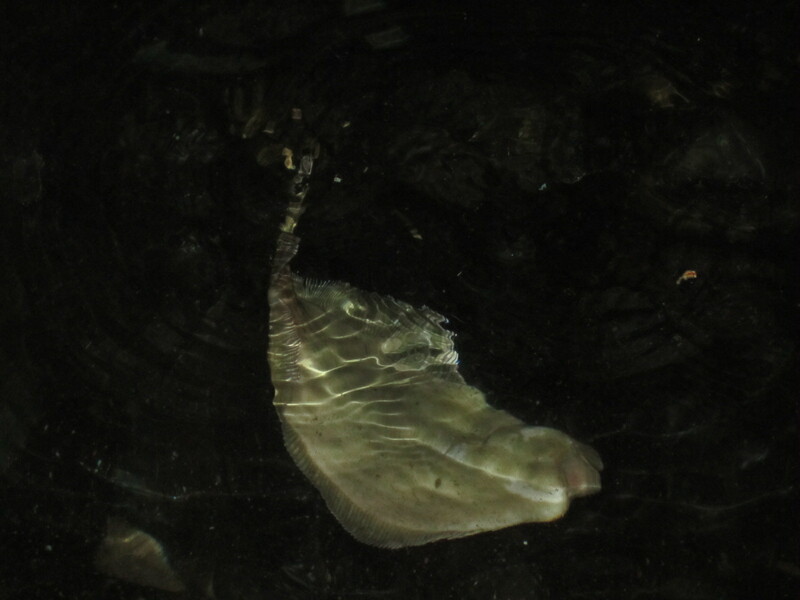 Even they are helping the environment by using the mussel waste to make fertilizers. Actually, the same stuff used on the garlic at Eureka Farms. Now I can’t finish this post without revisiting something mentioned in the very first paragraph, the caramel butter squares. I’m not sure which students were responsible for creating such buttery goodness, but kudos to you, whoever you are! They were not even composed of chocolate and I still devoured two of them! People, that is saying something!!! They definitely made a great day even better. This sounds like it was really interesting. I would have loved this just to see how it all works.